When we open our hearts and lives to him, God fills them with wondrous, eternal treasures. “Give, and it will be given to you...” (Luke 6:38). Like so many of God’s promises, it’s a simple declaration full of profound meaning. And it’s a promise made to individuals, not institutions. When earthquakes, floods, and other tragedies occur, organizations we never heard of are suddenly and prominently involved in raising money for relief. When we learn how little of the money donated goes to meet needs and how much to feed the institution, we think God can’t be pleased. That’s the kind of heart that causes ordinary people to do extraordinary things. When we open our hearts and lives to him, God fills them with wondrous, eternal treasures. It happened 32 years ago, but the events of recent days have made the memory as real as if it happened yesterday. 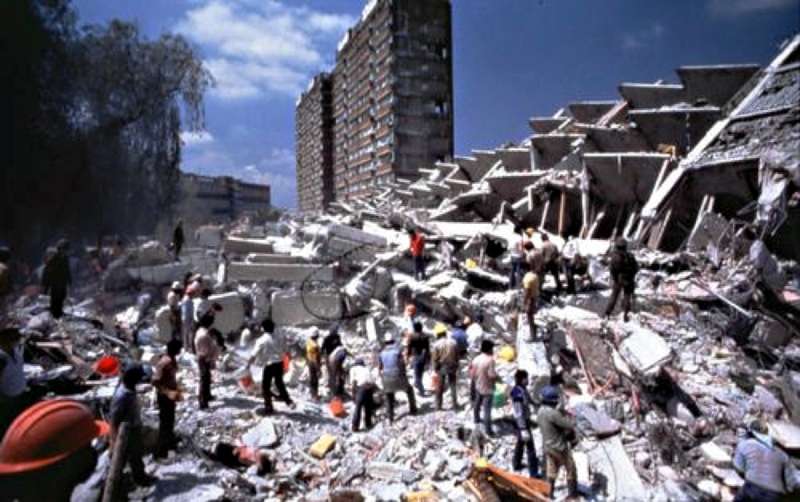 On September 19, 1985, a massive earthquake, 8.1 on the Richter scale, seriously damaged Mexico City though centered 240 miles to the west. At least 10,000 people were killed and, because so many thousands of the missing were never found or identified, it is possible that 45,000 people died. Another 30,000 were injured, 250,000 were left homeless, 3,000 buildings were destroyed, and 100,000 were severely damaged by the tremors that lasted only three minutes. 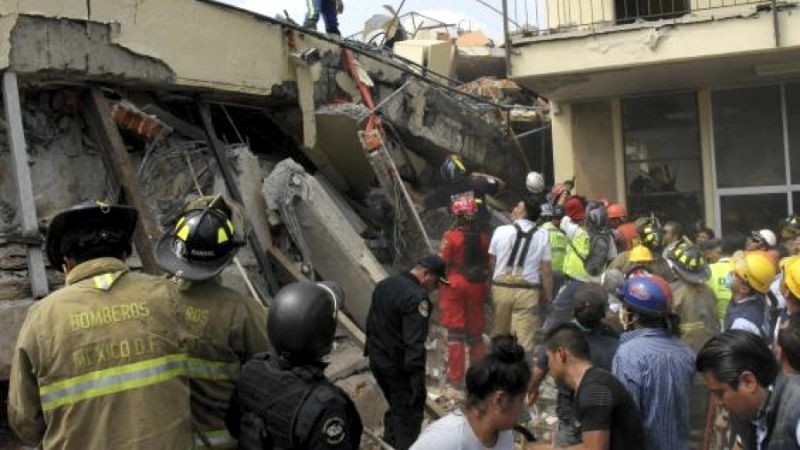 Ironically, the recent earthquake in Mexico City also occurred on September 19th and it measured 7.1 on the Richter scale. The confirmed casualties at the time of this writing are 293 dead and 1,819 injured, with final numbers to be determined. I was stunned by my personal neglect and that of my church, neglect that I confessed on the spot while promising to highlight the need in that day’s subsequent services. “What? What announcement?” he asked. “What you told me walking over here,” I replied. So, George told the story, word for word, and a roomful of Christian people sat in stunned silence. I don’t remember what I was supposed to teach that day. Maybe I guided the conversation a bit, but the class members did the teaching as they gently reminded one another of the opportunity to help people in need. Someone said, “Why don’t we take up a contribution, who’s got a hat?” Nobody had a hat but somebody did find a cardboard box. The several thousand dollars collected became the impetus for a major response to the need. Acts of service and gifts of benevolence always work that way. You can’t be a blessing without receiving a blessing. Ezekiel Ayangbile has learned that at an early age. The Austin American-Statesman told this eight-year-old boy’s story in its September 16, 2017 edition. Concerned about sanitary conditions in the floods of Hurricane Harvey, Ezekiel began making and selling soap. 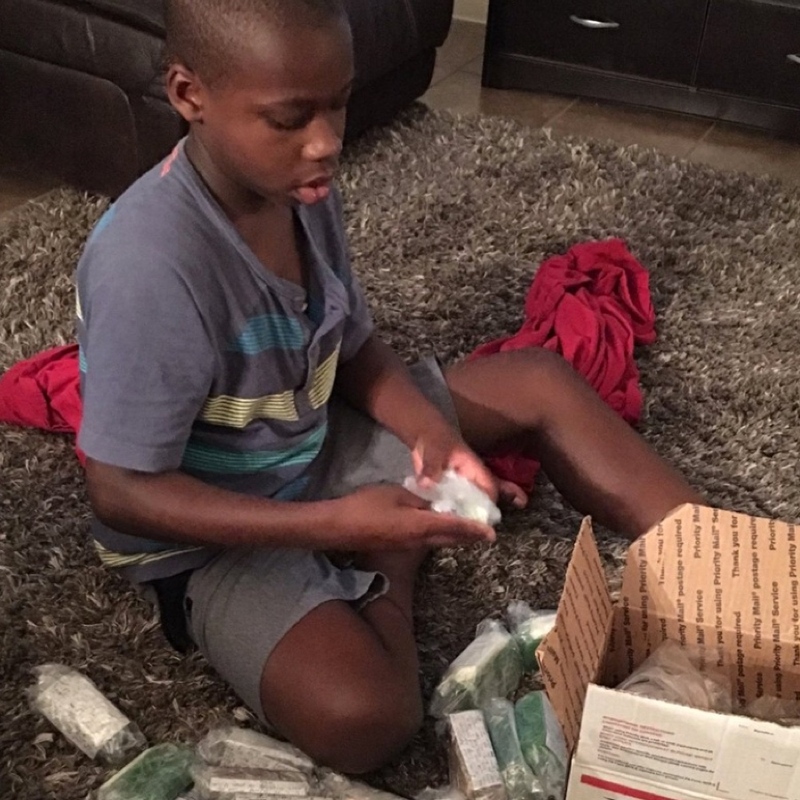 In a recent week, Ezekiel made and sold $180 in soaps shaped like cupcakes, donuts, and “soap-sicles.” In that same week, he made and delivered 100 soaps to displaced people in Houston and Austin. Not bad for an eight-year-old! And, not bad for the eighty-year-olds I saw this week. Retired, and able to live lives of ease, these dedicated people worked side-by-side with younger people, filling and sealing boxes, loading a truck with building supplies, going to Houston to help people who suffered a loss in the flood. People from The Lakeway Church partnered with people from the Clear Lake Methodist Church to help rebuild the home of a 77-year-old woman who is being treated for cancer in addition to losing her home. to love and compassion that showed us how to give and receive blessings. "Be a Blessing" by Phillip Morrison is licensed under a Creative Commons License. Heartlight encourages you to share this material with others in church bulletins, personal emails, and other non-commercial uses. Please see our Usage Guidelines for more information.